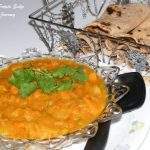 For the second day of cooking with carrots for the theme pick one make three, I made this very different carrot gravy subzi. 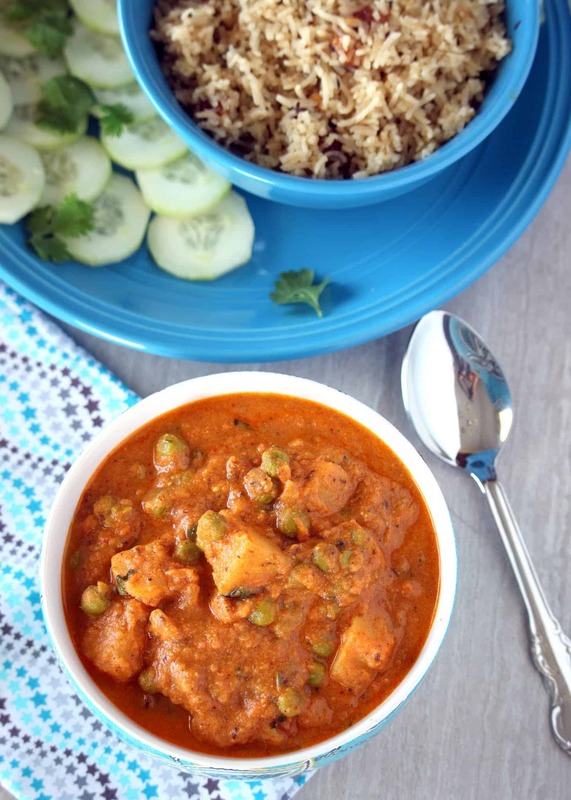 I have made carrot curry, the South Indian way with coconut and also made carrots combined with many other vegetables, but since I chose carrots as my main ingredients for the theme, I wanted this to shine as the star in my recipe. 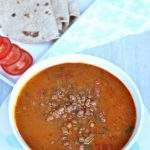 Hence I made this gravy with just carrot as the vegetable, of course apart from the onions and tomatoes used to make the curry base. Peel the carrots and chop it lengthwise in equal size. Steam it in a microwave for about 6 minutes or until cooked 3/4th. 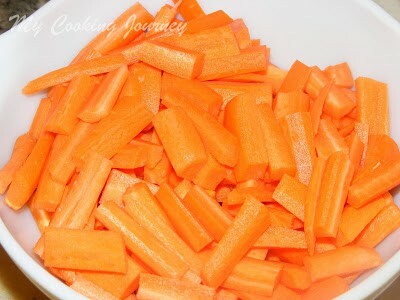 It is very important to cut the carrots in equal size for even cooking. Heat oil in a wide pan and add the cumin seeds. 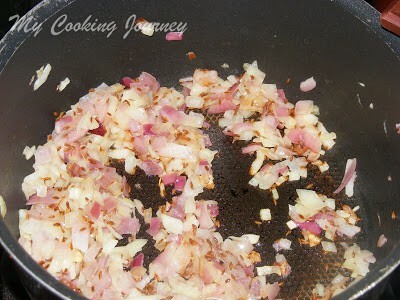 Once the cumin seeds fry and turn aromatic, add the chopped onions. Sauté until translucent. Meanwhile, grind the gram dhal, garlic, green chilies, ginger and cilantro into smooth paste adding little water as needed. Once the onions are fried, add the ground mixture and fry for 3-4 mins. Now add the tomatoes along with salt and let it cook until the tomatoes turn mushy. 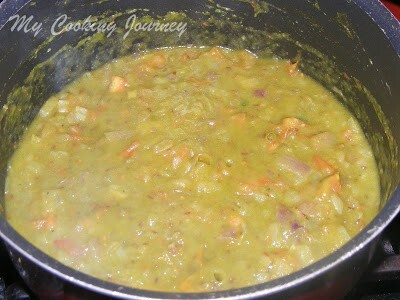 Add the steamed carrots and the garam masala powder along with a cup of water and let the subzi boil. Now simmer for about 10-12 mins until all the flavors combine. 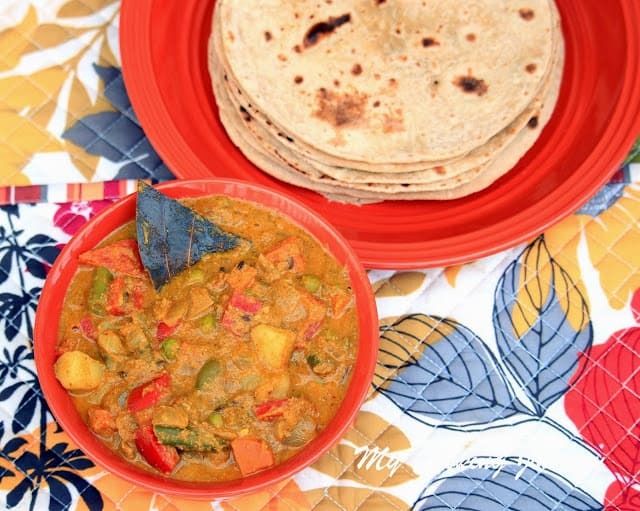 Serve hot with roti’s or parathas! 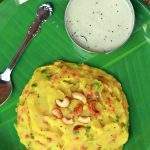 Lovely and delicious subzi, Sandhya!! Gravy looks highly flavourful,inviting and delicious. 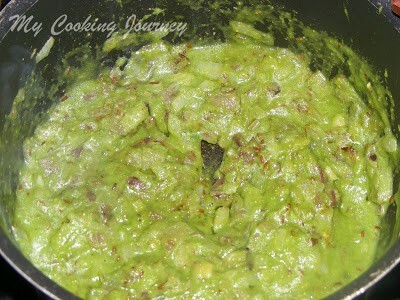 A prefect side dish for rotis. 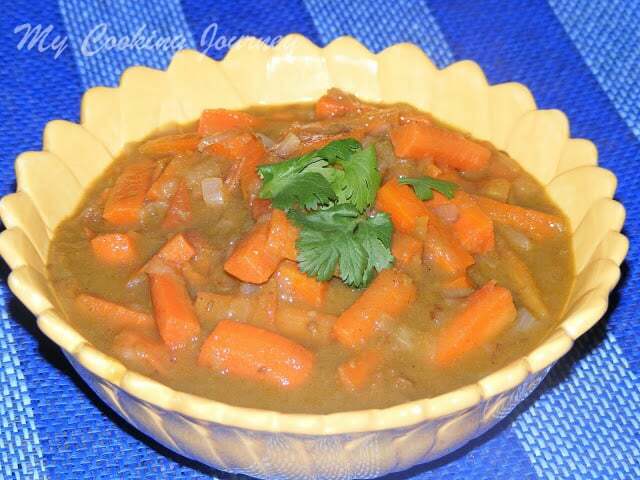 That's another interesting way to use carrots..good one..
Luks delicious !!! 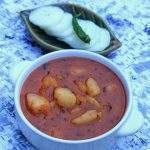 Never have tried sabji with gravy b4. Gud one sandhya. very interesting gravy!!! a new innovative side to roti!! 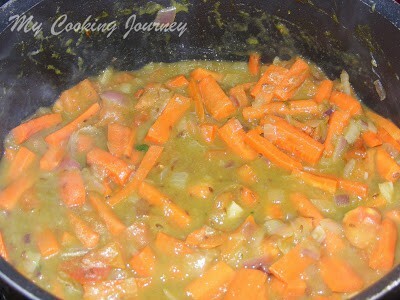 the color combo of the dish is good..red and green..great way to cook carrots. Nice subzi. 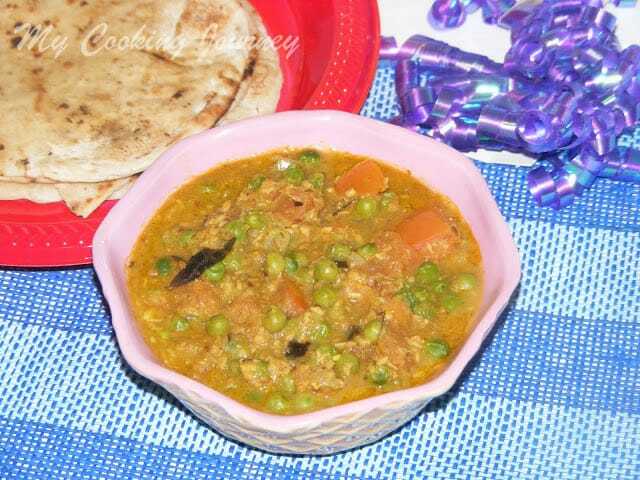 Would pair really well with roti! 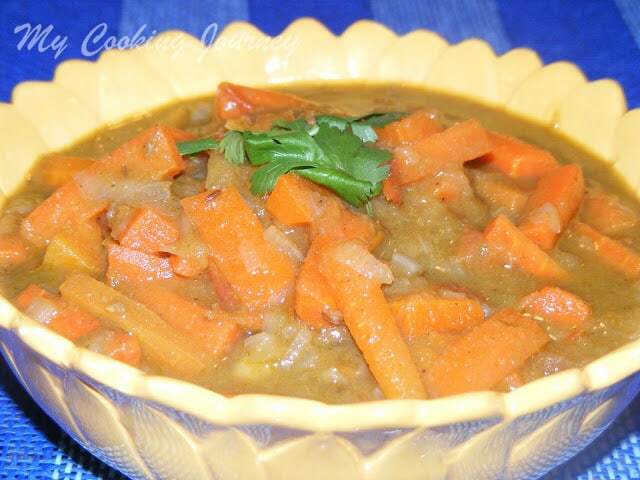 Yummy gravy with carrots. 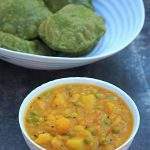 Will taste yumm with rotis.